Every holiday season I find myself trying to find small ways to spread Christmas cheer. I think that it is important that my kids see that spreading cheer doesn’t have to be an elaborate event or a huge undertaking. Sometimes it is the small things that can really make a difference. I try to take advantage of the things that my kids are interested in and find a way to get them motivated to do acts of kindness for other people. During the holiday season, my kids are really into their scout elf. We love the tradition of finding them every morning, their little faces light up with excitement when they find where they are hiding. It is a family tradition that we have been doing for several years now. This year the head elf at The Elf on the Shelf created the Scout Elf Party Pack that has inspired a lot of holiday cheer around our house. The Scout Elf Party Pack is a wonderful way for families to plan a welcome home party for their elf or a fun Christmas celebration for friends and family. 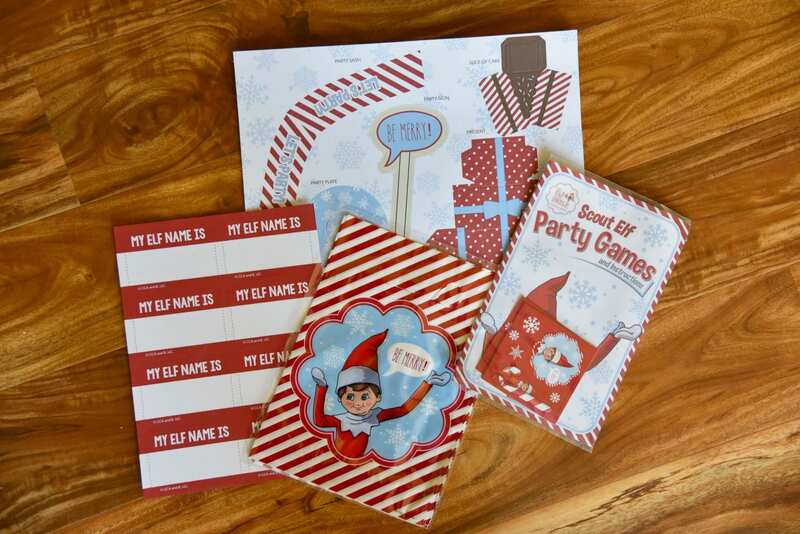 You could even use this fun party pack for an elf themed birthday bash! This all-inclusive kit includes a game booklet, party hats, decorations, and of course specially-crafted elf-size props because we don’t want to leave the Scout Elves out of all the fun! 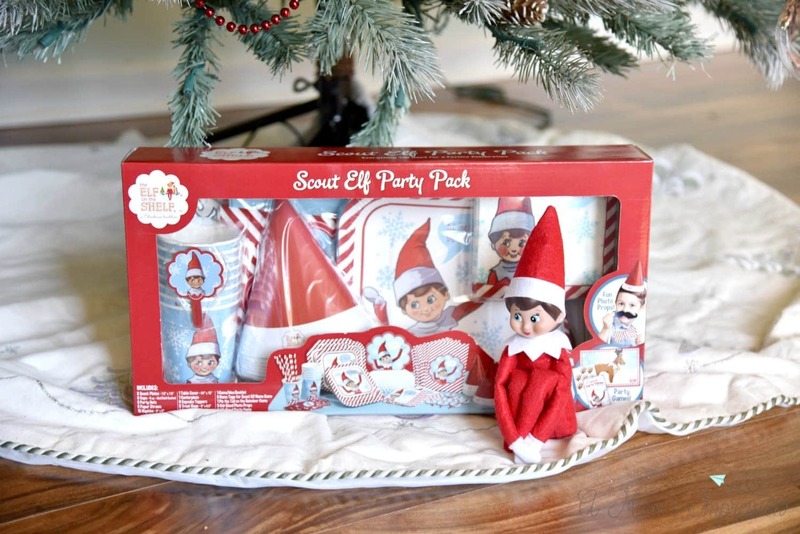 The Scout Elf Party Pack include everything you need to make your next holiday celebration fun! 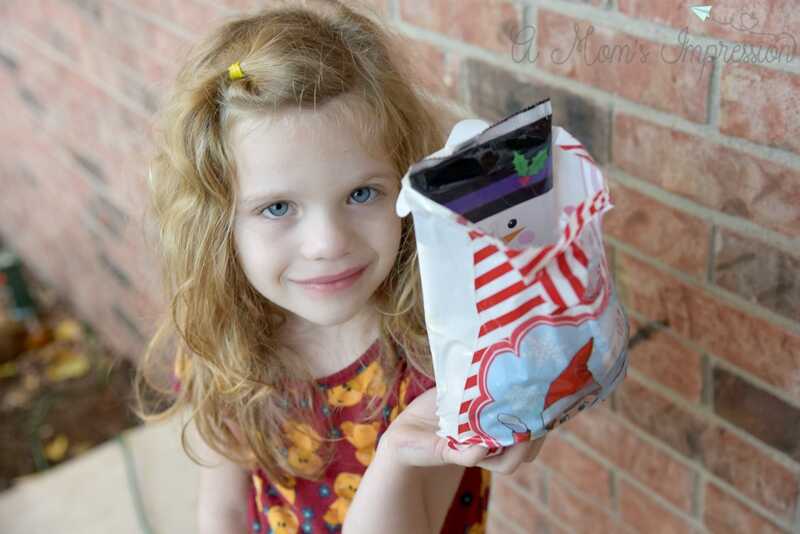 When I saw the goodie bags, I had a great idea about how we could spread a little cheer to our neighborhood. One of the things that my kids love to do during the holidays is to make holiday treats. We have been doing this ever since they were born. It is a fun tradition that I am sure we will continue to do for the rest of our lives. I thought it might be fun to make something to put inside the bags and leave them on the doorsteps of our neighbors so that they can enjoy them. We made some of our Chocolate and Peanut Butter Popcorn and added a holiday twist by incorporating red and green chocolate candy to the mix in place of our peanut butter cups we usually use. 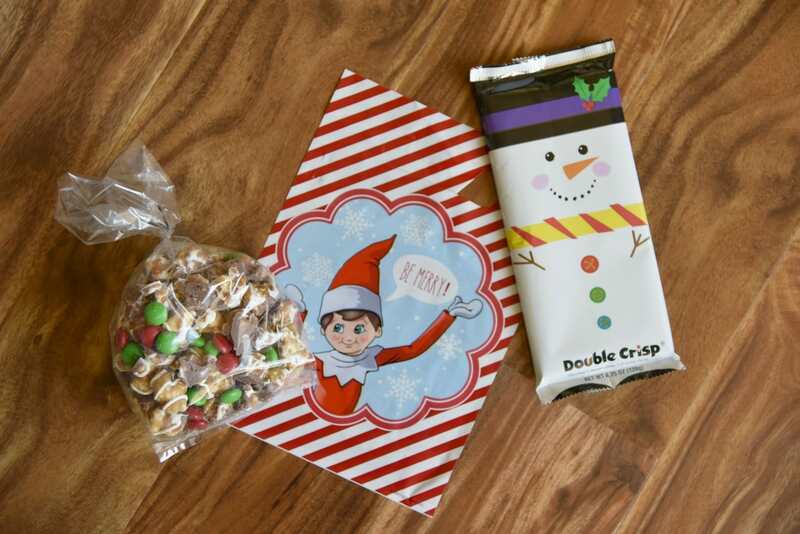 I found some adorable snowman candy bars at the store and the two items fit perfectly inside the treat bags from the Scout Elf Party Pack. The kids and I delivered the bags to our neighbors. You should have seen the smile on my children’s faces when they were done. 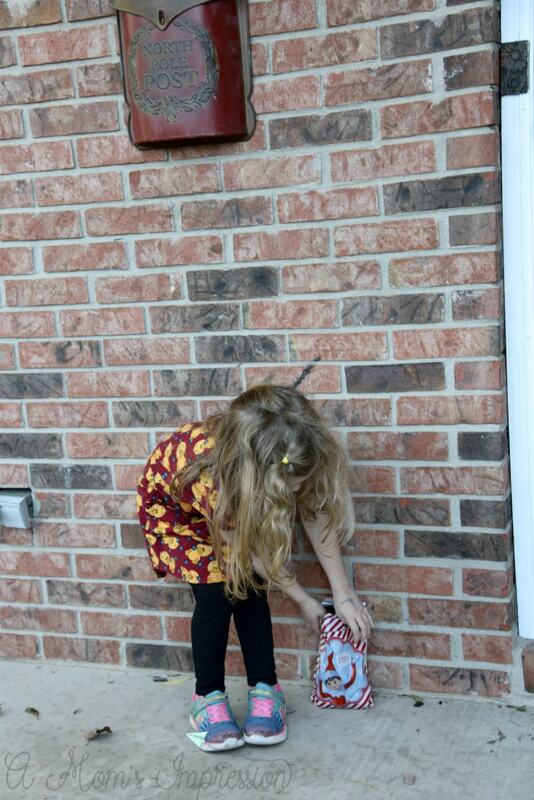 They loved the idea of the neighbors seeing the bags at their doors and being happy! Spreading joy sometimes comes in small packages (often with a Scout Elf smiling on the front)! 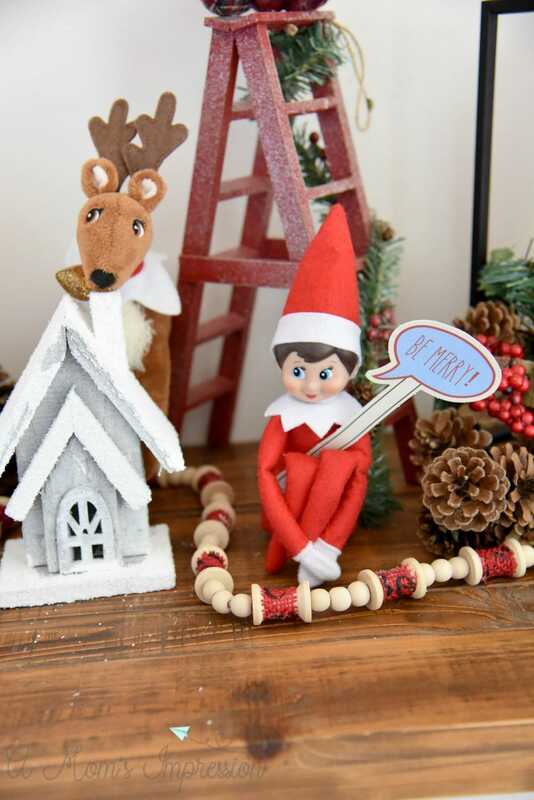 You can find Scout Elf Party Packs at Elf on the Shelf adoption centers around the country and online at Walmart!